Scottish GDP matched the UK growth rate in the first quarter of 2008 but still lags behind over the year, according to the latest figures. The new GDP figures show that Scottish GDP rose by 2.1 per cent over the year and by 0.3 per cent in the first quarter of 2008. In comparison, UK GDP rose by 2.8 per cent over the year and by 0.3 per cent in the first quarter of 2008. 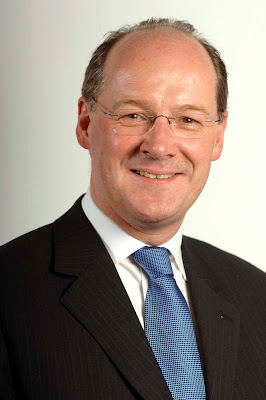 Cabinet Secretary for Finance and Sustainable Growth John Swinney (pictured above) said: “Scotland’s recent growth record, relative to that of the UK, gives cause for continued confidence in our economic performance. “Growth in the Scottish economy has matched or surpassed that of the UK in each of the past three quarters - the first time that has happened for many years. “These figures provide further evidence of continuing resilience in the Scottish economy. Last week’s labour market statistics showed rising employment, record low unemployment and higher activity rates. “Retail sales continue to grow at a faster rate in Scotland compared to the UK, while recent energy announcements highlight bright prospects for the Scottish economy. “Scotland's largest ever coal supply contract between ScottishPower and Scottish Goal and this Government’s approval of the Clyde wind farm - Europe’s largest onshore wind farm - will create new jobs and help increase sustainable economic growth. “This Government remains committed to reversing the historic trend of underperformance in the Scottish economy, by focusing all our efforts on increasing sustainable economic growth. “The international financial climate is causing uncertainty across all economies, and we cannot afford to be complacent about the impact that can have on the real economy in Scotland. “Scotland benefits from a highly skilled workforce and internationally recognised expertise in a number of key sectors including financial services. While confident Scotland’s economy is well placed to address these challenges, this Government will not just sit back and wait for conditions to improve. “The recent Global Financial Services Week focused world attention on what Scotland has to offer, providing a tremendous opportunity for inward investment and the development of the Scottish financial services industry. “We have already reduced business rates for 150,000 small businesses at a time of rising costs. We have refocused our enterprise agencies and our Government Economic Strategy has put increasing sustainable growth at the heart of everything we do. There are currently 303 Ayrshire business stories permanently archived on this site. To locate those of most interest to you, please use the site search facility in the top left hand corner of this page. Type your search term in the white box, then click “SEARCH BLOG”.